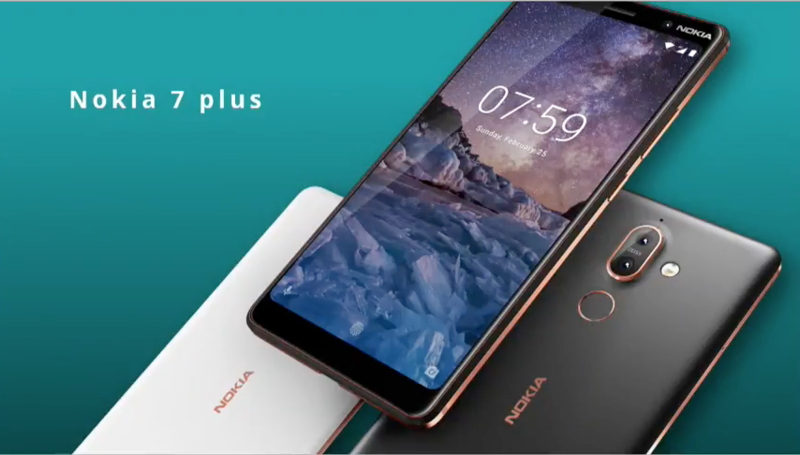 HMD Global has officially launched the Nokia 7 Plus at an event in Barcelona. It succeeds the recently launched Nokia 7 and will be a global device, unlike the Nokia 7. The Nokia 7 Plus is also an Android One device, which means that it will get Android update support for more than 2 years. It carries a price tag of EUR 399 (roughly Rs. 31,750) and will go on sale in early April in Black/ Copper and White/ Copper colour variants. 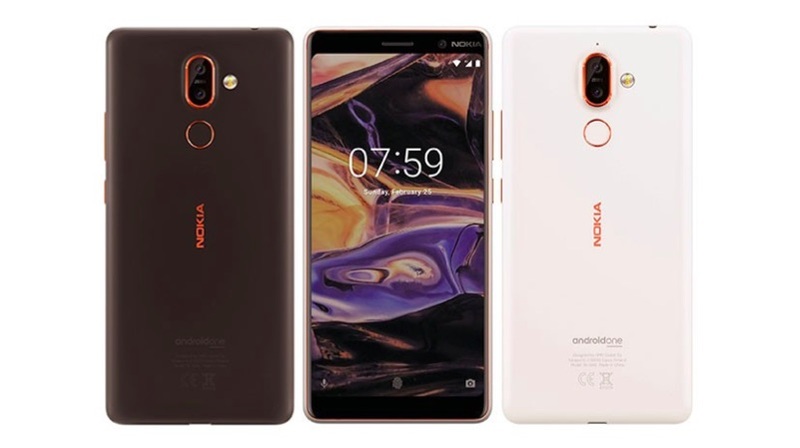 While the Nokia 7 had an older design with thick bezels and a 16:9 aspect ratio, the Nokia 7 Plus has an upgraded design. 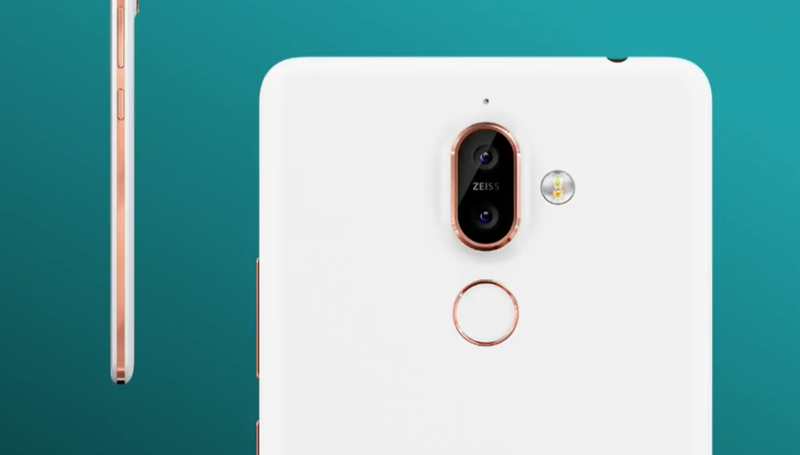 The Nokia 7 Plus has an 18:9 aspect ratio and the design accents similar to the Nokia 6 2018. The Nokia 7 has a 5.2 inch IPS LCD display with a 1920 x 1080 px resolution. Nokia 7 Plus, on the other hand, has a 6 inch display with an 18:9 aspect ratio hence, the “Plus” moniker. The Nokia 7 plus also features a dual-tone design thanks to a few gilded bits and pieces. Like the fingerprint scanner ring, the dual-camera casing and the Nokia logo on the back. Under the hood, the 7 Plus has the Qualcomm Snapdragon 660 chipset and 2.2GHz octa-core processor. That is coupled with 4GB of RAM and 64GB of onboard storage which will be expandable via microSD card. The fingerprint sensor is now placed on the back and has the similar colour accents found on the Nokia 6 (2018). On the back of the 7 Plus is a dual-camera setup powered by Zeiss optics. The primary wide-angle sensor is a 12MP camera with an f/1.75 aperture coupled with a 13MP telephoto lens with an f/2.6 aperture. The telephoto lens will allow for bokeh shots which have now become very trendy. On the front is a 16MP fixed focus camera with an f/2.0 aperture, 1-micron pixels, and Zeiss optics. At a price of EUR 399 (roughly Rs. 31,750), the Nokia 7 Plus has a lot of competition. If and when HMD Global launches the Nokia 7 Plus in India, it will have to be priced closer to the Moto X4 rather than the Honor View10. However, the price and details for the Nokia 7 Plus in India have not been revealed yet.